Commissioning HR can deliver targeted HR Project Management from complete design, implementation and delivery to a review and evaluation post implementation. We will discuss timeframes that match your business needs. We have the proven ability to keep projects on track using tried and tested Prince 2 methodology and will report progress to your key stakeholders regularly. We recognise that some HR projects require a simpler approach and we can tailor a process to suit your project’s requirements. HR project management is a useful approach for more complex HR work streams that often involve a team of people with different levels of responsibility and decision making. TUPE can be complex and requires a due diligence review from key stakeholders such as HR, Operational Managers and Finance. A HR project management approach can build in the various stages of due diligence review, employee liability review and employee consultation to ensure that the TUPE transfer runs smoothly and all risks are known. Organisational growth will at some point mean that HR systems and practices need to become more rigorous. The use of HR project management can ensure that you review and develop your HR practices in a structured way to suit the needs of your business. There are many stages to implementing an HR Information System. 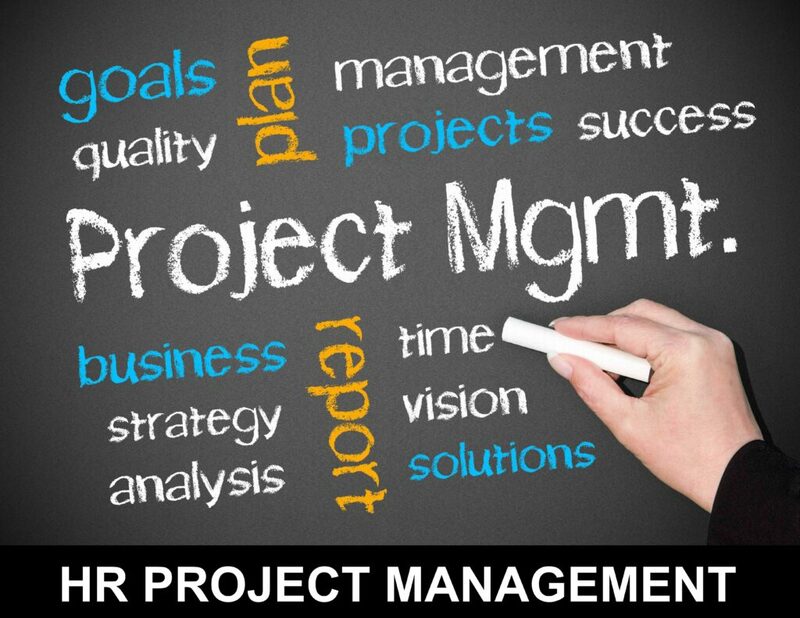 Project Management will ensure that all key stakeholders are involved with the project and that it delivers the needs of your business. Engagement of management and staff is key to implementing a successful Competency Framework that everyone can understand. HR project management can help to get that key engagement. If you are implementing job evaluation for the first time or reviewing a current scheme, HR project management is critical to its success. A project team approach will be required including the use of panels for the evaluation process. Use project management techniques to plan and keep track of the implementation for all your new initiatives. Other areas of HR we specialise in include Strategic HR, Operational HR and Workplace Mediation.